The Sharper Cut, Inc is a landscape design-build firm in the DC Metro area. We work on a variety of projects, both large and small. 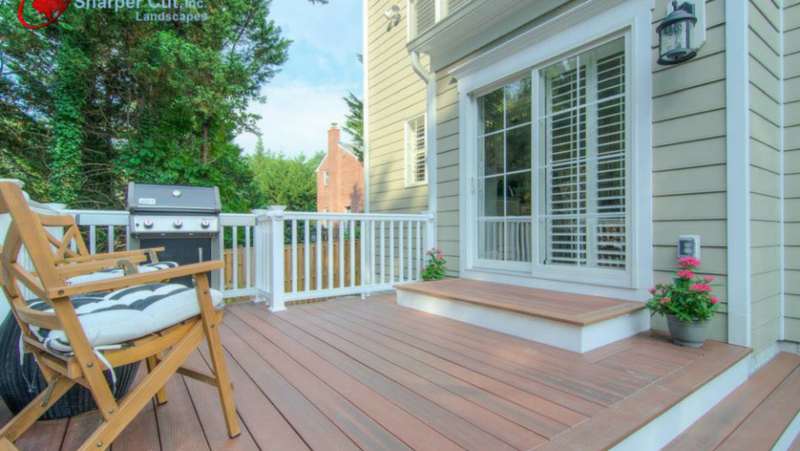 We would love to help you create the deck of your dreams. We can create a unique deck design that flows with the architecture of your home and enhances the beauty of it. Not only do we design and build decks, we also can design and build anything and everything outdoors. We can create a design that can include decks, porches, sunrooms, patios, steps, walkways, retaining walls, porticos, plantings and softscaping, water features, fire features, outdoor kitchens, outdoor living areas, pools and spas, pergolas, lighting, sports courts and putting greens. You can dream it and we can create it! You can also check out our website at www.SharperCut.com. Created by The Sharper Cut, Inc. Contact The Sharper Cut, Inc.